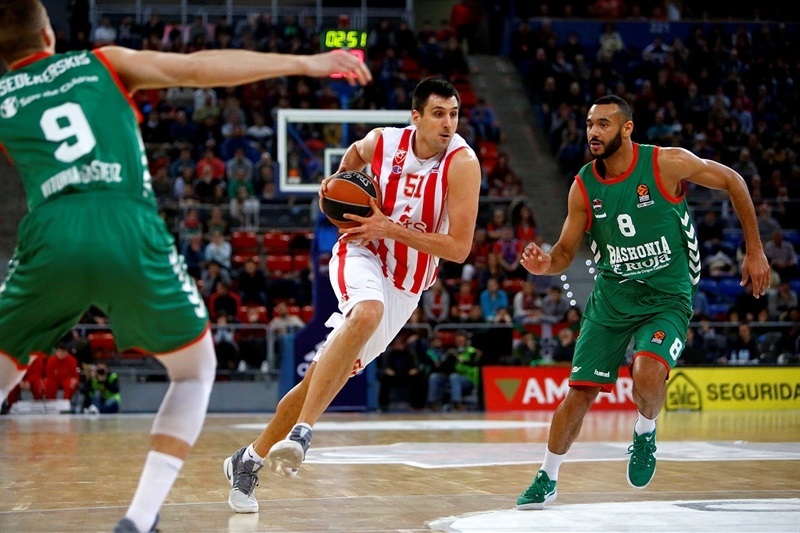 Crvena Zvezda mts Telekom Belgrade grabbed its sixth consecutive win – a new club record in the competition – by downing Baskonia Vitoria Gasteiz 69-87 on the road on Tuesday. Both teams now have 11-8 records in the standings, deep into playoffs territory. 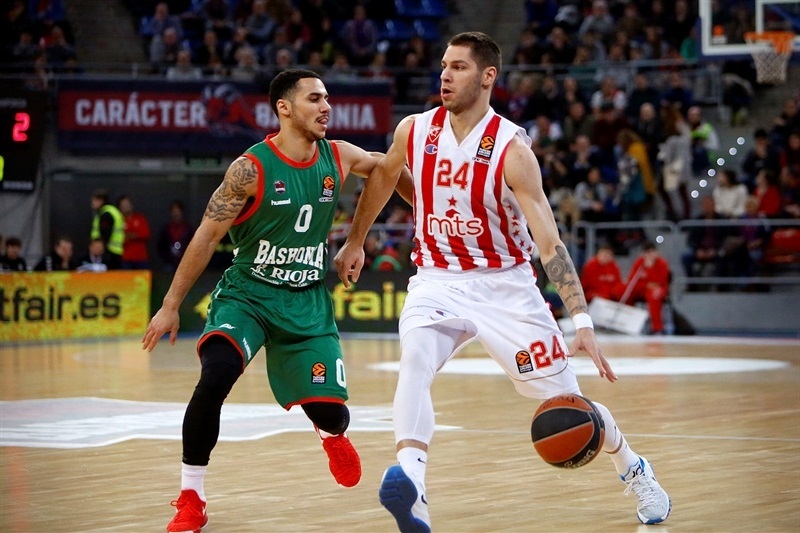 Zvezda became just the second team to beat Baskonia at Fernando Buesa Arena in the last two seasons, joining Olympiacos Piraeus. 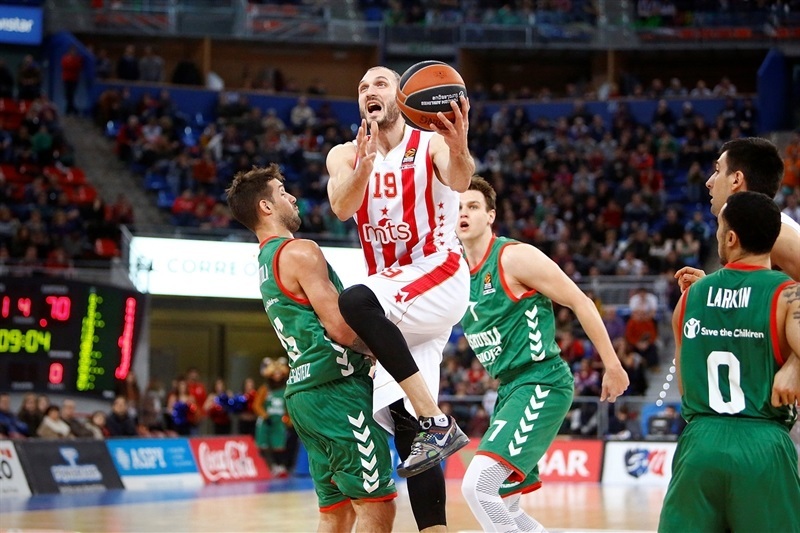 Marko Simonovic led the winners with 23 points and Stefan Jovic tallied 18 and 12 assists, while Ognjen Kuzmic scored 11 points for Zvezda. 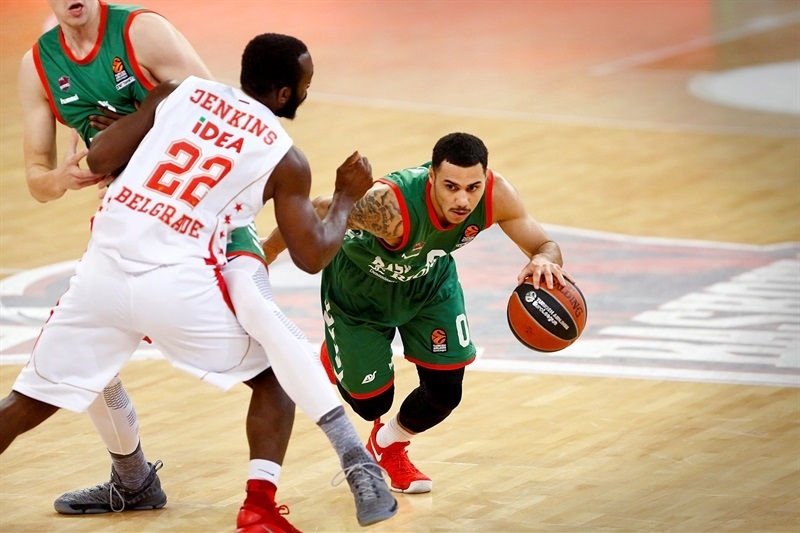 Shane Larkin led Baskonia with 16 points and Kim Tillie added 12. Zvezda played near-perfect basketball in the first half, hitting 15-of-20 two-point shots (75%) and 5-of-11 three-pointers (45.4%) and dishing 13 assists to just 5 turnovers. 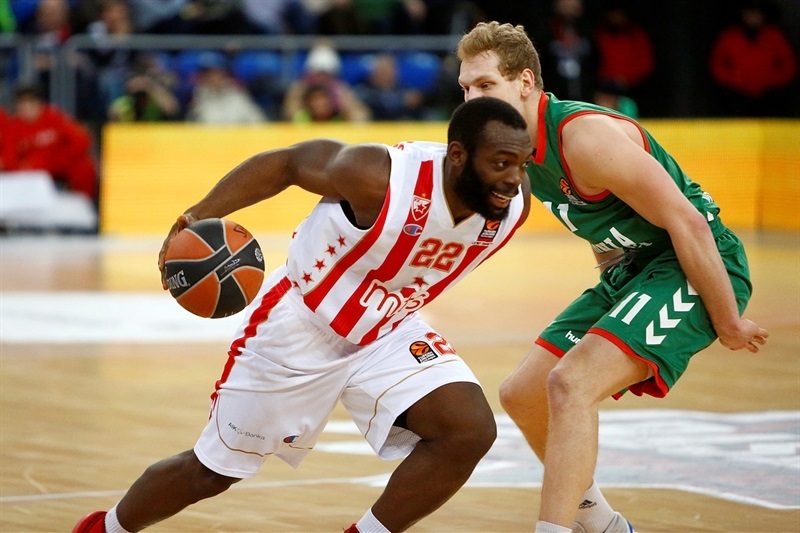 Zvezda picked up 9 steals and outrebounded Baskonia 10-14 to get a mammoth 27-50 margin at the break. 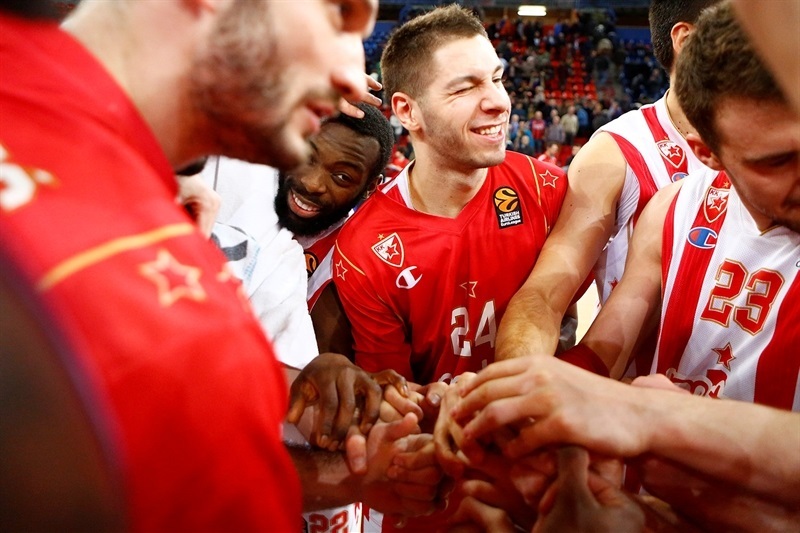 Nothing changed after the break, as Zvezda cruised to victory. 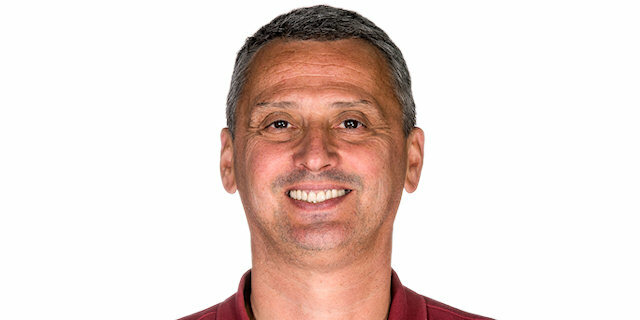 Simonovic got Zvezda going with a couple of layups. Jovic and Luka Mitrovic also scored around the basket for a 2-8 lead. Kuzmic made free throws, while Jovic followed a three-pointer with a layup, which prompted Baskonia to call timeout at 6-15. Larkin and Rodrigue Beaubois hit consecutive jumper and Tillie followed a dunk with a triple to close the gap to 15-19. Nate Wolters hit a couple of jumpers and Branzo Lazic added a fast break layup to make it a double-digit game, 15-25, after 10 minutes. 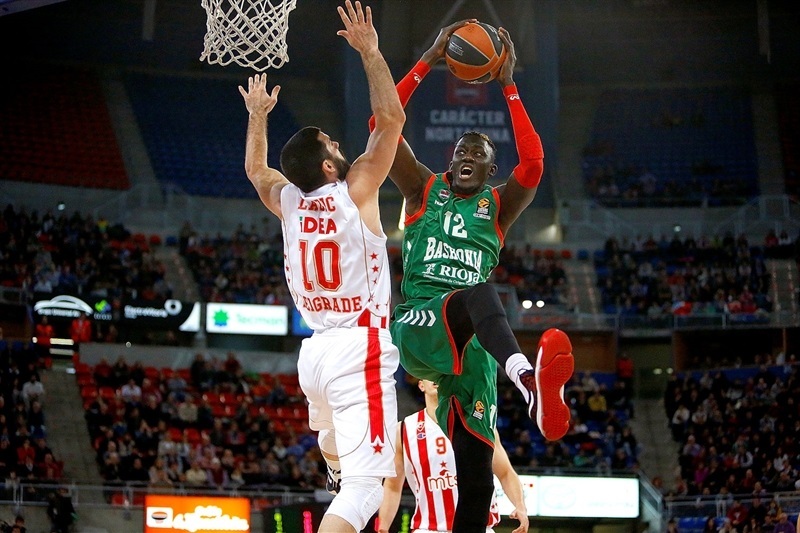 Baskonia kept struggled to score, while Simonovic banked in an acrobatic shot, Milko Bjelica added a six-meter jumper and three-pointers by Wolters and Charles Jenkins boosted Zvezda's margin to 20-36. An unstoppable Simonovic followed a triple with a layup to cap a 0-13 run that broke the game open at 20-43. Simonovic nailed another from downtown and Deon Thompson took over with a turnaround jumper and a big slam to fix the halftime score at 27-50. Adam Hanga stepped up with a layup-plus-foul soon after the break, but he didn't find much help around. 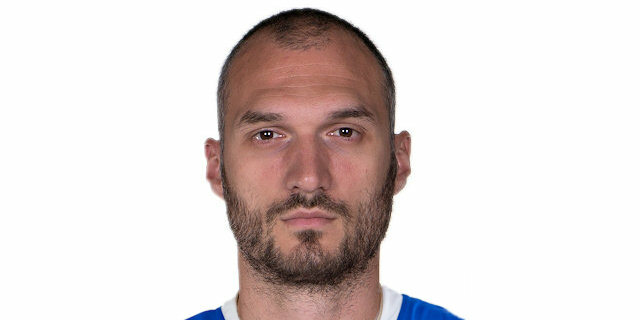 Meanwhile, Simonovic stayed on fire and a layup by Mitrovic made it 34-57. Jovic stepped up with a three-pointer, a fast break layup and a six-meter jumper and Marko Guduric soon boosted his team's margin to 39-66. Nico Laprovittola and Chase Budinger brought Baskonia a bit closer, 49-70, after 30 minutes. 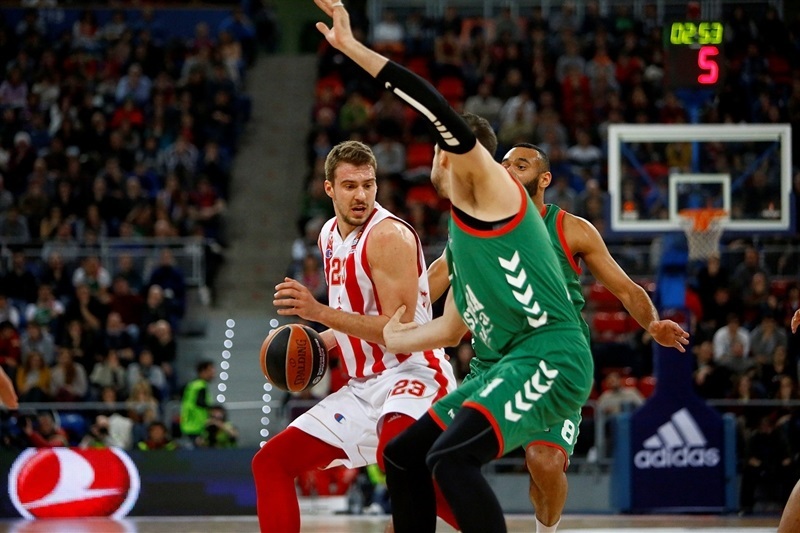 Larkin took over with three consecutive driving layups early in the fourth quarter, after which Zvezda called timeout at 56-70. Simonovic made free throws and struck from downtown to seal the outcome, 60-77. 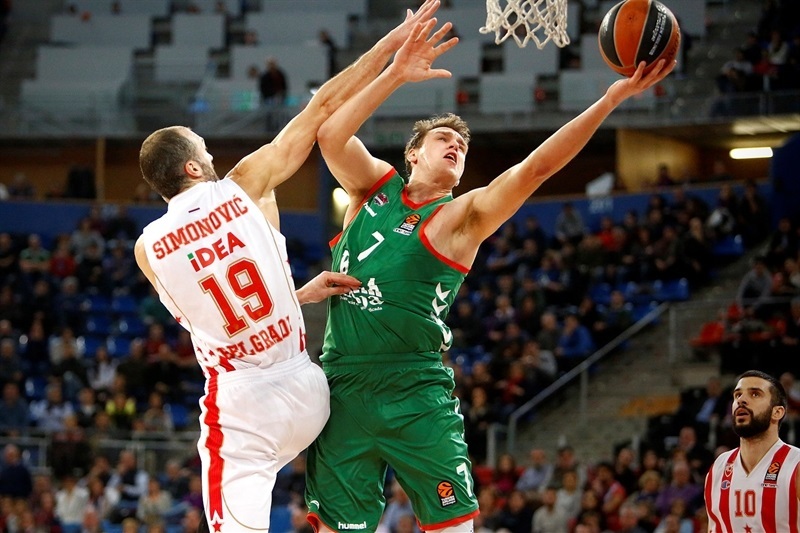 Baskonia never gave up, but Zvezda had plenty of time to celebrate a big win. "We had a very bad start, especially returning to defense after missing shots. We may have had the opportunity to get over this, but without thinking we had to do easier things to overcome their lead. Once you miss a shot, the most important thing is to forget about it and try to play a bit better on offense, harder on defense. If you don't that, it is difficult to play against this kind of team, which played very well and very tough. In this moment, in the EuroLeague, we have to know how to use our toughness to play a little bit better. We have to learn and recognize that we are not in our best moment, which is very important. We have to play together to avoid playing like we have lately. We didn't have big downs until now, but it is hard for us after the losses against Olympiacos and Zvezda, teams that outplayed us physically. They used their physical skills to hurt us and stop us from playing our game. 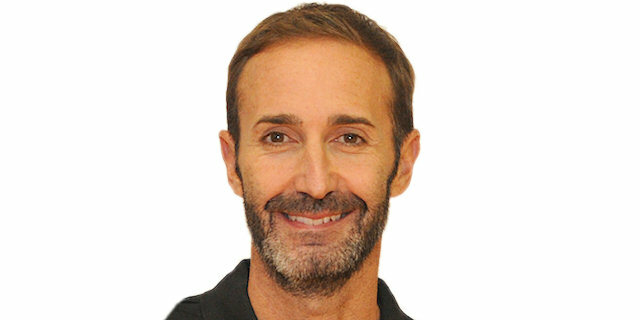 We have to know we did well until now, and recognize that we are not doing well right now." "We played very well in the first half, at the start of the game - on defense, on offense, everywhere. After the first half, we had a big advantage. Our defense made Baskonia have 9 turnovers in the first half and easy points on offense are very important for us. After that, in the second half, we controlled the game and that was it. We have a new game the day after tomorrow against Panathinaikos and I hope we will be ready for that. We played very well tonight and that's it. " "It was a great win for us. We knew it was going to be a tough game - they are a great team with great character. They played very well the whole season and had a very bad game last week. We knew they were going to show character, but we came into the game like we always do and it was perfect. They beat us in Belgrade and that was one more reason for us to play this game and win it – and we did it. Congratulations to all our staff and players."